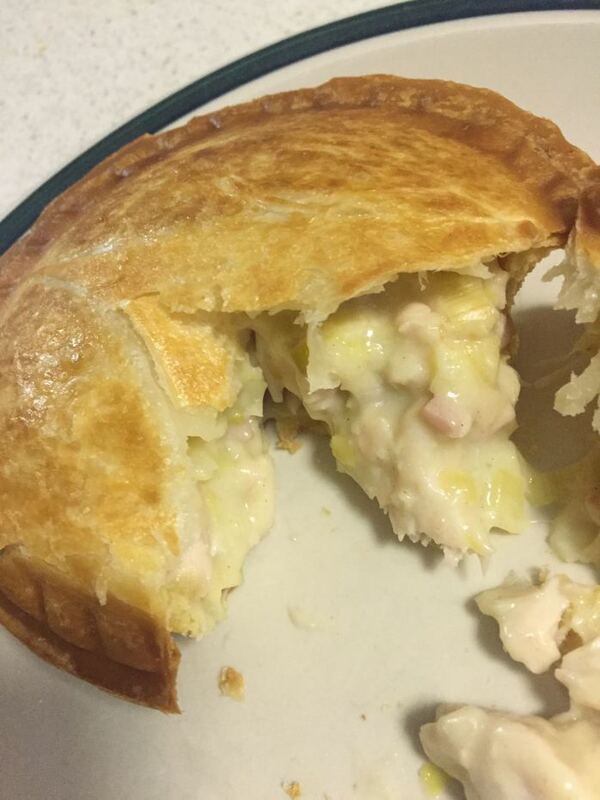 On a cold rainy night, there is nothing I love better than a creamy chicken and leek pie. This is the ultimate comfort food for me. 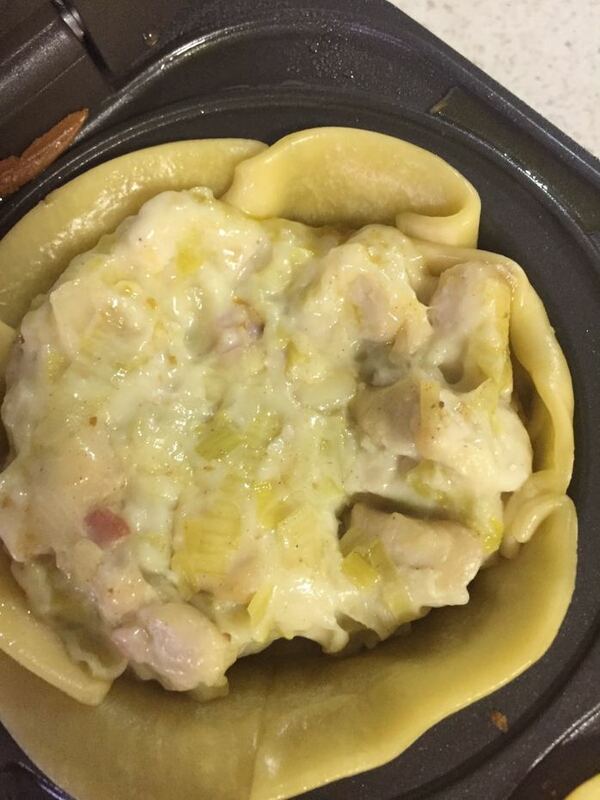 Using a plastic bag, toss the chicken in flour. Season with salt and pepper. Heat oil in a large frying pan over medium heat. Add chicken and cook until browned. Remove from pan. 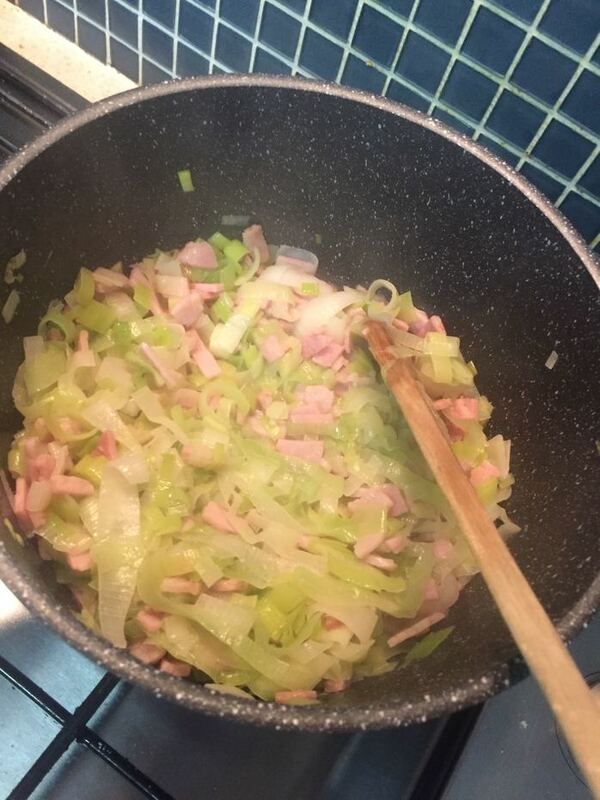 In frying pan, melt butter and add leeks, bacon and water. Cook until tender. Pour in wine and bring to a simmer. Whisk in mustard, flour, stock, cream and marjoram. Simmer and stir until thickened. Return chicken to the pan and stir through. Season, then cover and allow mixture to cool completely. Preheat oven to 200C and line your pie tin with a sheet of shortcrust pastry, trimming off the excess. 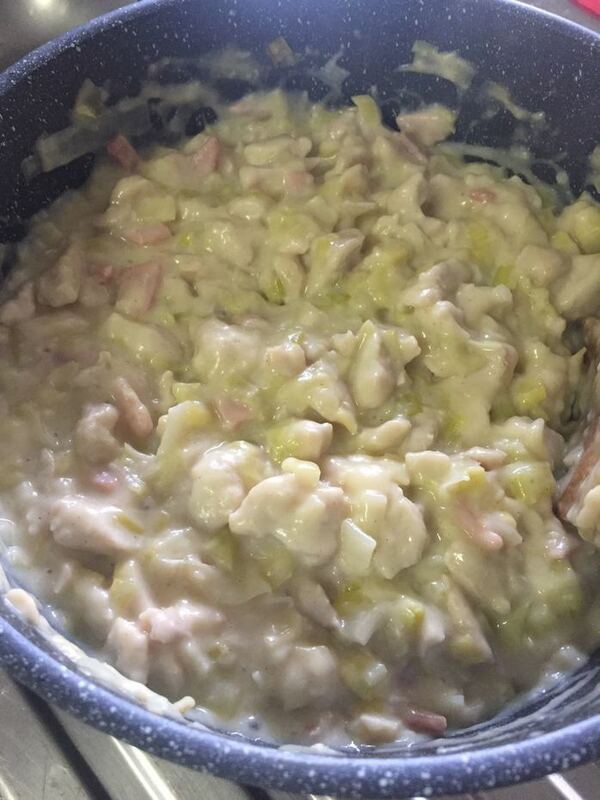 Fill the tin with the chicken mixture. Top with puff pastry and trim off the excess before pressing down the edges with a fork to seal.